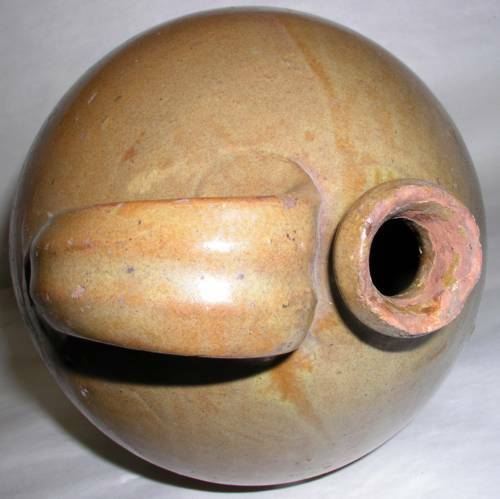 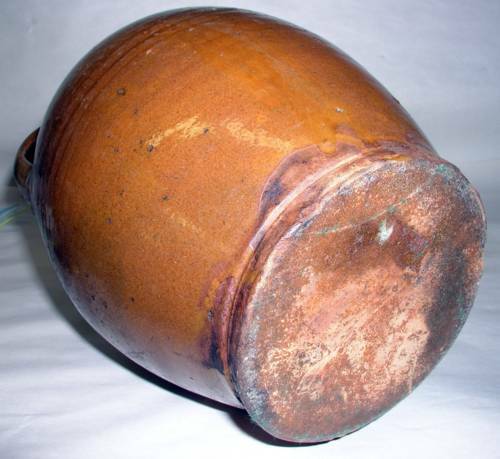 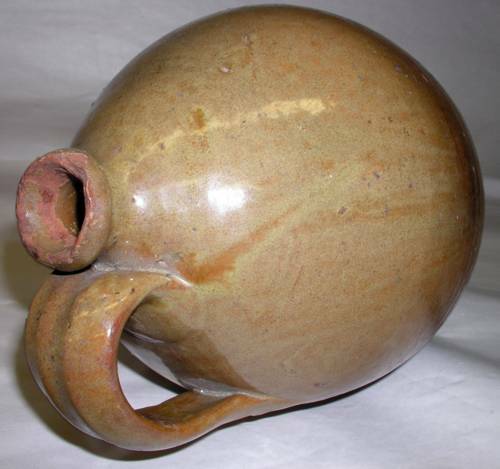 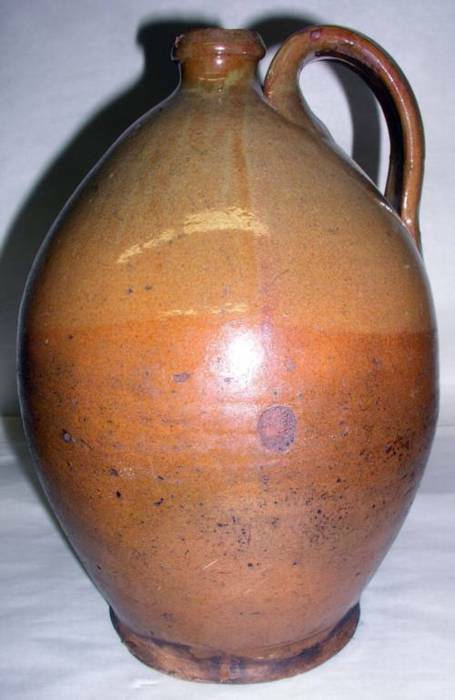 Extra large sized Redware Gonic style stoneware jug . 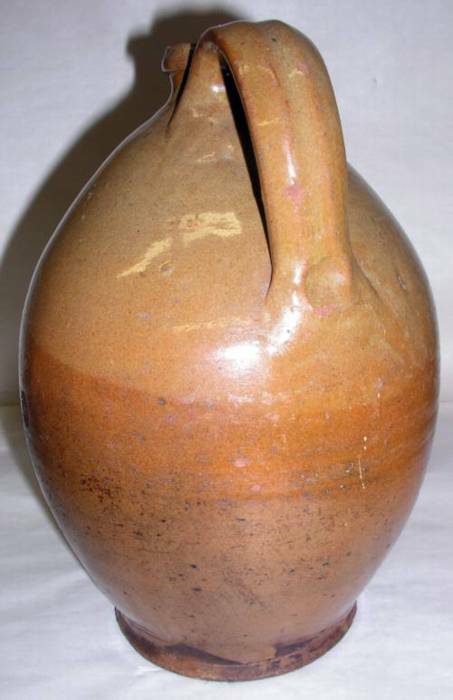 Similar to an early style Boston double dipped piece in two different colors. 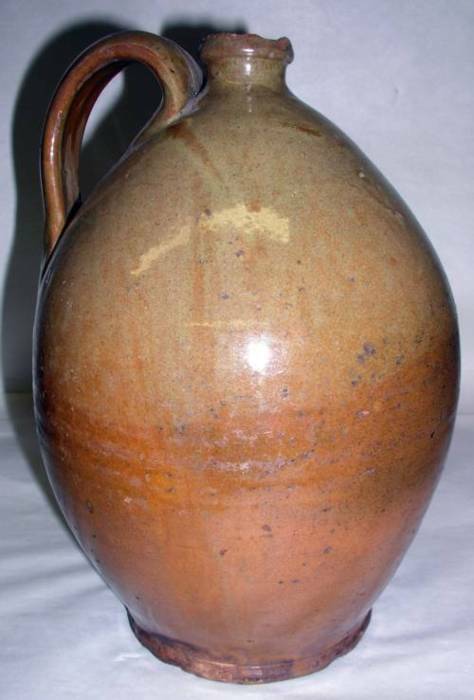 Overall in very good condition with some of the normal age issues mostly along the top edge but no cracks. 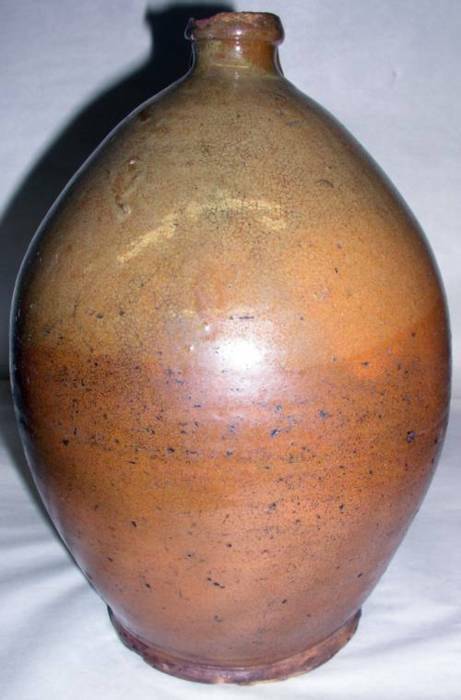 Dimensions: Measures 11.75" tall X 5" across the base.